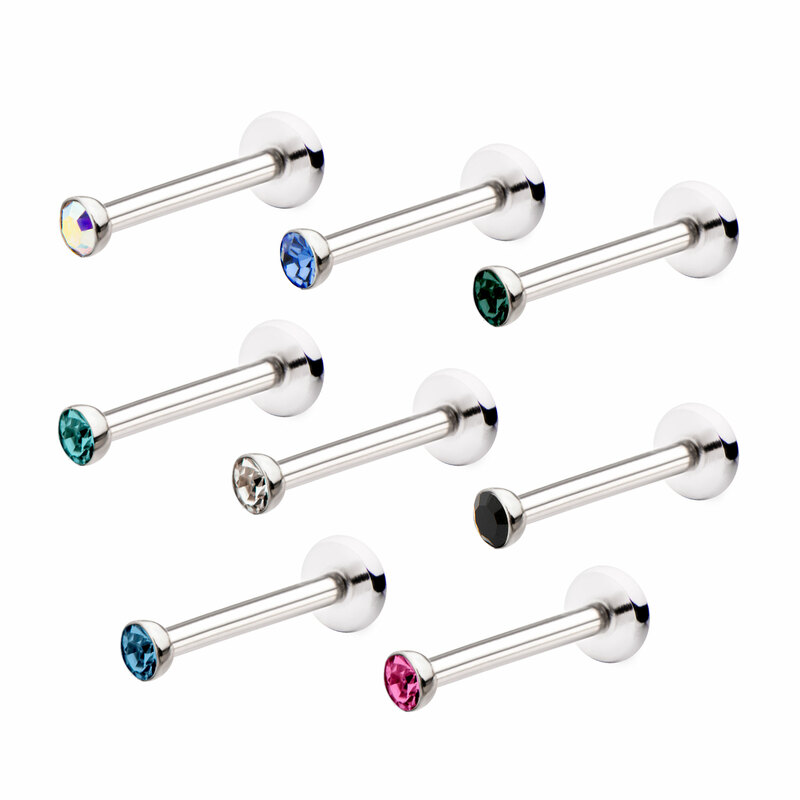 Internally Threaded Labret Stud with a Bezel Set 2mm CZ top. Made from 316 Surgical Steel.. Perfect for initial piercings. Sold Individually.